Let me just say first I love Donal Skehan. He’s a talented, warm and all round decent guy and I’m delighted for the Irish chef and his wife Sofie on the birth of their baby son, Noah Ziggy (who is also adorable). There, that’s the disclaimer out of the way. Since he’s a nice chap, I’m also fairly confident that Donal will have meant absolutely no offence with his recent proud dad posts on Twitter and Instagram. But unfortunately, I don’t think he understands how triggering his choice of words will have been to many mums out there. With a cute snap last week, he heralded his tot’s welcome to the world of social media and applauded his wife’s efforts in the delivery ward, telling us she “rocked it with Swedish Viking strength, for a natural birth, 3 hours in the hospital”. Fast forward to this week and there’s Sofie again, looking great in her jeggings and trainers pushing a snazzy pram at dawn, atop a summit in the Hollywood hills. “Seven days later and she’s up a mountain!” gushed the doting husband in an accompanying caption complete with the strong bicep emoji. As one Twitter poster drily noted below the snap: “No pressure on other mums then”. I’m delighted for ye both, honestly, but please spare a thought for us other mammies who didn’t ‘rock it’, needed the drugs and struggled to even get dressed in the weeks post-partum. ‘Don’t project your own issues onto someone else’ I hear you cry – and a part of me agrees - but if you’re in the public eye then I think that comes with a certain sense of responsibility to be sensitive about the message you’re sending out about something as emotive as childbirth. Because the reality is, that celebratory tweets like this help perpetrate the persistent school of thought that there’s a ‘right way’ to have a baby. That way, as celebrated by the Skehans is no drugs, in and out of hospital in a jiffy and out and about soon after – the wrong way, well that’s the less celebrated world of c-sections and epidurals isn’t it? The first thing I felt when I read Skehan’s ‘Rocked it with Viking Strength’ tweet was the ever-close-to-the-surface feeling that I had failed at giving birth. I didn’t ‘rock it’ I was weak and needed pain relief during the two days I spent in hospital trying to have a very over-due baby. Type in ‘mum’, ‘epidural’ and ‘failure’ to Google and you’ll be swamped in similar stories from women who feel they failed by not achieving the perfect natural birth. I know mums who had c-sections – often emergencies to save the baby’s life – who can’t talk about the birth because of the feelings of guilt and shame. These feelings are sustained by messages in the media. Just this year a story went viral about a birth photographer in the States who refused to take on a client with a planned c-section because “a surgery is not a birth”. There’s some effort being made to address the imbalance. In August the Royal College of Midwives in the UK dropped its 12-year ‘normal childbirth campaign’ in recognition that championing a natural birth was making women feel like failures. 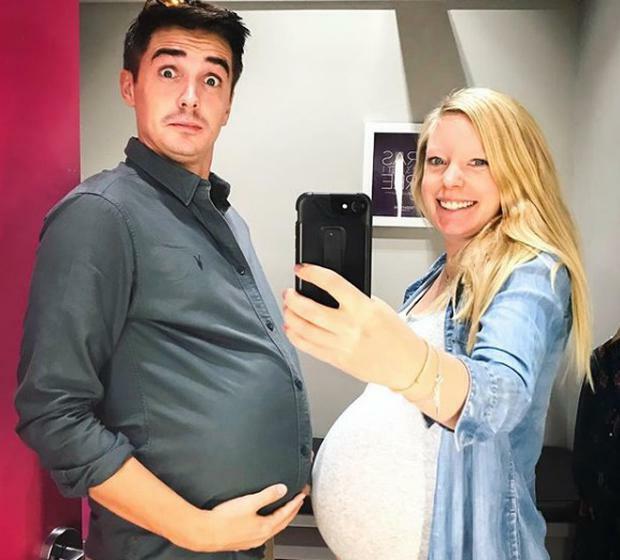 I’ve do doubt Donal Skehan would be horrified to think his happy posts had caused anyone distress but when it comes to motherhood, perhaps the chef needs to know his picture perfect moments aren’t going to be to everyone’s taste.